You're not fooling anyone, you're a trigger when I hold the gun. 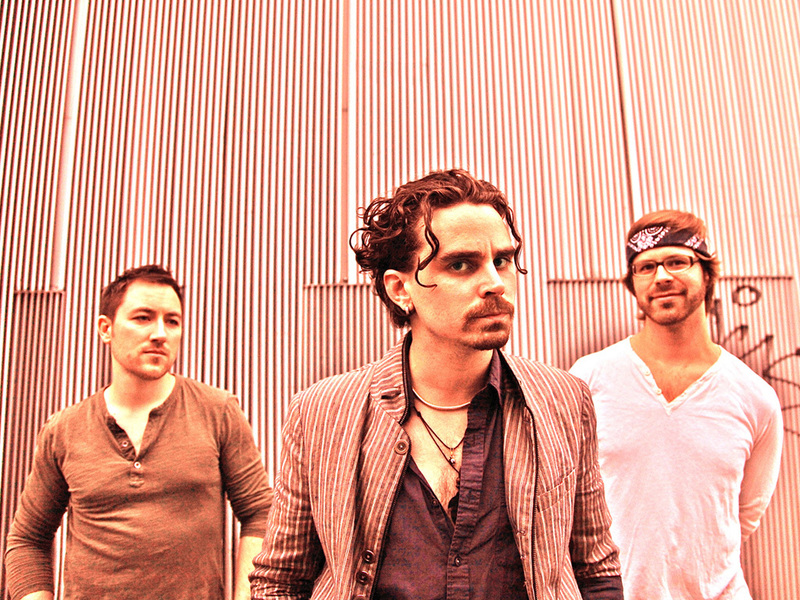 Apollo Run writes mountain-conquering songs. They’re not trying to earn a wink from some gal, they’re taking over the world, so it helps that their big-hearted myth rock is crafted by three dudes who don’t mind getting sweaty out there. In fact, for the release of their debut LP, Here Be Dragons Vol. III, John, Jeff and Graham trained hard on fundamentals. That’s right, nuts and bolts, bread and butter. It’s weird to think about these guys humbling down with routine exercises. They are drowning in talent. Graham brings Bonham’s “Hammer of the Gods” attitude to every thump on the kick, crash or snare. Jeff takes over songs at a time with wiggly-worm bass and effortless Zelda arpeggios. John conjures Buckley in one moment, and then rages in the next with old-school showman pomp. It’s a puzzle that they’d opt to shoot free throws all day. Maybe after intro EPs Here Be Dragons Vols. I & II, the band hit a tipping point that charged their cause with urgency. ”For VIII, we had all this great new material and a sense of purpose heading into the studio. A do or die mentality,” says Graham. The result, full length Here Be Dragons Vol. III, is an hour of sweeping epic. Lush harmonies and cascades of keys crowd around the chamber of “Autumn Song.” Swagger reigns in “Bending The Light,” riding on sinewy rhythms and salty disco bass. The chattery vocal effects in “The Inevitable Small Rebellions” mark an unmistakable new authority in the AR sound. The crown jewel might be “Sirens,” a picture-perfect ballad that constitutes the first instance of the band writing a song all together, from the ground up. “Jeff started playing a couple of chords on his ukulele while we were driving a long cold road in Ohio,” remembers John. “It was late at night, hours away from our destination, and we found ourselves in a 20 minute vocal/ukulele musical dialogue that probably only made sense to us.” A ferocious tribal build ensues, “From a peaceful beginning into something beautiful and terrible to behold,” as Graham tells it. In our recession-ravaged, pirate bay of a music industry, cajones are key and HBVIII takes witness to the scope of material produced by just three guys. It suddenly makes sense that they’d adhere to a strict training regimen; their intricate tunes demand it. So forgive Apollo Run for sweating it out on stage every night. All John, Jeff and Graham know is to earn your attention straight up, Rocky style.